Papua New Guinea's Rachel Wadunah at the OFC B Licence coaching course in Fiji. Only recently returned home from Fiji following the completion of Part 2 of her OFC B Licence coaching course, Papua New Guinea U-20 women’s assistant coach Rachel Wadunah is now preparing for a visit to Shanghai, representing Oceania at the Asian Football Confederation Women’s Instructors Course in June. Wadunah was suprised to be selected for the exclusive course, and felt very proud to be representing the women of her country and region. “I would like to thank OFC for giving me that opportunity to develop myself further as a football coach and coach educator,” she said. With the new knowledge and experience picked up at the course, Wadunah hopes to explore ways to further develop the fast growing women’s game in Papua New Guinea. “My focus is on the women’s game in Papua New Guinea, particularly on youth and rural development,” she said. PNGFA Education Centre Director Edris Kumbruwah said he felt deeply honoured to have Wadunah representing Papua New Guinea at the AFC course. “They are more advanced in terms of their gender development, particularly for women and to have Rachel chosen out of the other OFC Member Associations is a bonus for PNGFA,” he said. 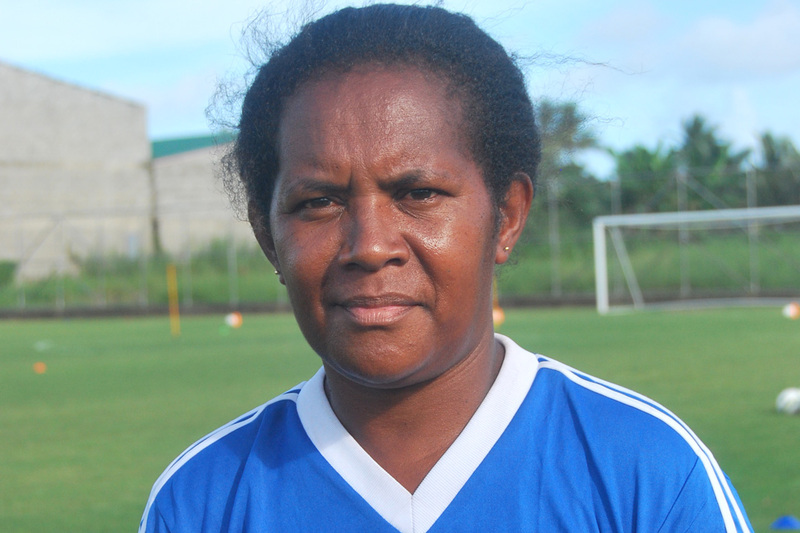 Wadunah has played a pivotal role in women’s football in Papua New Guinea over the past few years, taking on the assistant coach role for the national women’s team in the 2015 XV Pacific Games before assisting head coach Lisa Cole in Papua New Guinea’s 2016 FIFA U-20 Women’s World Cup campaign. She has also played a large role in youth football development covering both boys and girls. The Tusbab Blue Kumuls Centre of Excellence – managed by the Wadunah family – developed 10 of Papua New Guinea’s representative for the 2017 OFC U-17 Championship in Tahiti earlier this year, and Wadunah is currently working on a football development curriculum for elementary schools, which she plans to pilot in Madang upon completion. The AFC Women’s Instructors Course will take place in Shanghai, China, from 20 to 29 June.